Hit LifeStyle series Selling Houses Australia will mark its 10th season from March. 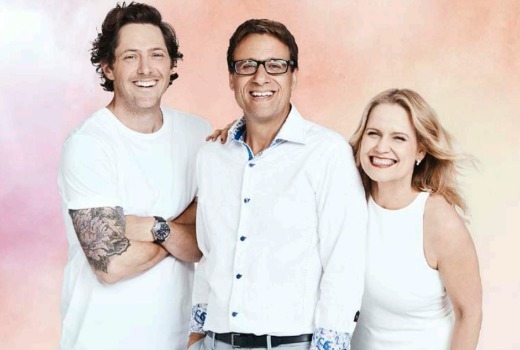 To mark the occasion Andrew Winter, Shaynna Blaze and Charlie Albone will be renovating a 100 year old home in Sydney the Salvation Army has owned since the 1930s. The charity has decided to sell the house to raise much-needed funds for their homeless services, with the auction hammer to will fall just days before the episode goes to air. Season 10 heads to Far North QLD, an island off the SA coast, a dairy farm in rural Victoria and their first property in Tassie. “We’d like to say a huge thank you to Foxtel, Lifestyle and all involved in Production for making a show not only watched here, but in many other countries in the world! Lifestyle is offering 25 lucky viewers a double-pass to the 100th episode auction in Sydney’s inner west. To enter, head to lifestyle.com.au/sellinghouses. Comp opens on Wednesday 25/01/17 at 9am AEDT. Wednesday March 1 at 8:30pm on LifeStyle. When in March does it come back on?